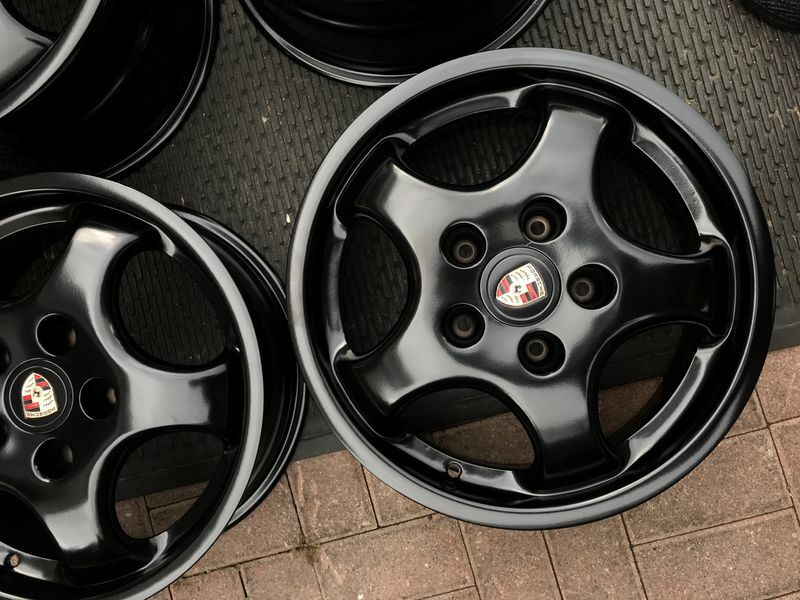 I recently bought a set of black Cup 1s for my black '91 964 C2 manual which is still at the factory ride height with 17" wheels. I'd like to lower the car when installing KW V3 coilovers and having the Cup 1s and tires fitted. This car is stock except for SW chip and Fabspeed dual port exhaust. Nothing has been done to the suspension since I have owned the car. What other items/services in addition to the bolt on KW setup should/could be done while I have the car in for the KW install? It is not real easy for me to get the car in for service so I'd like to have a plan going in and all required parts on hand before making the trip. I'm open to suggestions. I do not track the car. I've put about 1k miles per year on it and just enjoy taking it out when I have the chance. When all the work is done, I'd like to take it on an extended road trip, schedule permitting...maybe Luftgekult. Car is tucked away in Northern Wisconsin. Nearest recommended shop for me is Perfect Power in Chicago or Kelly-Moss in Madison. I have in mind to do suspension and possibly brakes this year...engine next year. Any advice appreciated, especially from KW V3 owners. Are you set on the V3's? I don't recommend coil over packages like these unless you want a very performance oriented ride. The ride will become quite harsh by most standards. Usually for spirited driving the Bilstein HD/H&R coils are best. Although getting anything from Bilstein lately is tough. If you want to go coil over I recommend MCS over KW. You can custom set the spring rates and use helpers to soften the ride for street driving while having a stiff spring for spirited driving. Are these aftermarket Cup I's. The raised numbering is missing is why I ask. You might consider RS sway bars while you are at it. Thank you for your reply Cobalt. I am not dead set on the V3s but thought it would be nice to be able to adjust as wanted and thought would be still comfortable enough for regular road use. I may have to rethink that decision but I have not purchased them yet so I have some time to decide. Car cannot come out until snow melts some time in early May. Are there bushings or other wear items that should also be considered while working on the ride height? I will order the RS sway bars. I pasted together the images of markings on the backsides of the wheels. I sure hope that they are the real deal. Look real to me. Some of the CupI wheels did come without raised letters or they were removed when refinished. If you are doing the sway bars then you will need new bushings if not I would inspect the ones you have they might be ready for replacement. I have H&R's on mine and I love them. Riding smooth for two years now. A thought just got into my head , and before it died of loneliness I started typing this reply . 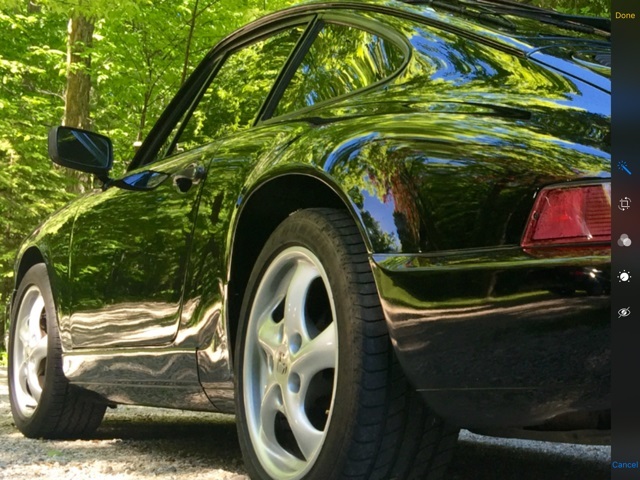 Iirc , the kit you’re looking at was designed originally to run 993 rs uprights to tame it at lower heights . The bolt sizes are different. KW V3, on softest settings, are much more compliant than Bilstein B6 + H&R. The compression/rebound can also easily be turned up to rattle your teeth. B6 are well known for being harsh but are still much better than the junk stock struts/shocks and are good as an economical alternative. I’ve run all three. No extra while-you’re-in-there parts needed. The RS swaybars are personal choice, but I would try out the new coilovers with stock bars first, which is likely all you need. Go with RS alignment settings, which are still pretty mild, and Euro ride height for a comfortable and sporty driver. Add a corner balance if you want to go wild. Enjoy! Last edited by nickd; 01-25-2019 at 03:27 AM.. Thank you NickD for your advice. This is the arrangement that I was leaning toward for my car originally. I just wanted to make sure the KW V3s would not be too much for daily driving/long road trips and that I was not missing any wear items that should be addressed "while I was in there." I hope to have the job done as soon as the snow melts in Sister Bay and say goodbye to the factory ride height.